In this article, we are exploring some of the more common and best choices of 3D modeling software, commonly referred to as 3D modeling programs. We want to identify what makes each program distinguishable and a high-quality option for your specific uses. We will explore their cost and features. Equally important, we recognize that some of these 3d modeling software tools have a steep learning curve, others are more intuitive tools that allow users to learn 3d modeling easily. In the end, we hope you would have a better sense of how to choose the best 3D modeling software, regardless of whether you are beginners who are learning 3d, architecture or design students, hobbyists, or even professionals. 3D Modeling software packages are computationally intensive. They are intended to make designers and animators more productive. As a result, their more complex features and functions are not coded to work in just any hardware system. A standard, home-use laptop will not be up to the job of running this kind of 3D software. Fortunately, most of the companies developing and releasing 3d modeling app and software advise you on the required specs you need for your hardware. Some modeling software for industrial and professional uses run only on top-of-the-line machines. So it is worth giving this some thought before you take the plunge. Do some further research and avoid making a purchase you regret. The mismatched 3D software will dramatically slow your computer down as it churns on the complex 3d calculations. There are often both minimal and recommended specifications for every software selection. For instance, the developer may identify the requirements for a minimum ram of 4 GB but prescribe a more appropriate level of 8 GB. Make sure you have a computer capable of running the software you choose. And make sure that the computer comes equipped with a fast graphics card able to allow for proper visualization. Don’t let the Windows Mac Linux debate keep you from these advanced software solutions. Some software for 3D only works on specific Windows and Mac or Linux operating systems. Some people like to choose software that works on multiple operating systems which provides maximum flexibility. Regardless, there is a solution for you if you use any of the Mac Linux or Windows operating systems. Construction. One of the most popular use cases, as 3D models are vital in the planning phase of construction. Software such as Autocad are required standards in this industry due to its precision and layout. Industrial. Design engineers use 3d software for industrial requirements – to deliver 3d printable prototypes, surface models, cad models, which enable their businesses to build working models and final products much faster than previous methods using 2d models. Entertainment. Digital artists in Films and television use 3D modeling for Computer Generated Imagery (CGI). There are certain types of 3D modeling and animation software which are better for this, such as Blender, Cinema 4d or Autodesk’s Maya. It is very rare to go to a movie these days and not see some form of CGI or 3D modeling. Animated films, naturally, are one of the heaviest users of this type of software. Gaming. Another area where 3D models are vital. Everything within a game is made on a computer from the level design to characters and more. Modeling software is at the heart of an essential segment of the gaming industry with programs such as Blender and Unity being popular. Much of the 3D modeling software for gaming is specific to the industry and offers features such as rigging to be able to make characters move. However, many of the principles are the same, especially when designing terrain, landscapes, and buildings. Science. 3D modeling is an application used for simulating different scenarios in geology such as earthquakes. This example is a specialized use of 3D modeling rather than the most common, but it shows how important this technology is. Scientific applications can also include 3d sculpting, flight plans, ocean trenches, and landforms. Graphic Design. Product design, packaging and all sorts of other uses within the graphic design niche have been opened up by being able to utilize 3D design instead of just 2D design. 3D Printing. To create printed models or print 3D objects, naturally, you need 3D designs. 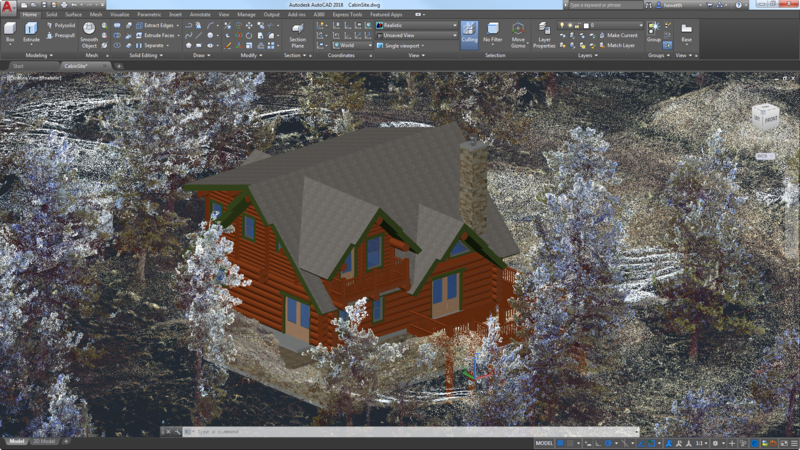 Programs such as Sketchup among others can create detailed 3D maps and drawings. They will also have extensions and plugins which allow you to manage the software for 3d printing, depending on which 3D printer you use. The guide wouldn’t be complete without a deep dive into the features of some industry-leading software. The four programs mentioned below all have their different merits. As you can see above, there are so many different uses for 3D modeling tools that the strengths and weaknesses of the software mentioned tend to determine which industries they are popular within. The best 3D modeling software will most likely depend on what you intend to use it for, how much you have budgeted and how much time you wish to dedicate to learning 3D design and modeling. Read on to find your best 3d modeling software. SketchUp is software that is designed to be flexible in many different ways. Not only can it be used on PC or Mac, the software has features that are great for a variety of different industries and also levels of ability. A beginner can start to work out the functionality of SketchUp pretty quickly, and there are even free trial versions to get you started. Another great feature is an accessible community full of pre-made shapes and designs which you can use in your projects. The library which you have access to, called 3D warehouse, offers a mind-blowing two million different models. These can be downloaded and used as assets and edited within your software. The basics of Sketchup aren’t too hard to understand. If you plan to keep it simple, it is not unrealistic to expect that you could make something within just a couple of hours of downloading Sketchup. That said, the software isn’t limiting, and Sketchup is taken seriously in a variety of different industries due to the number of advanced features it offers. Sketchup brilliantly incorporates extensions which are often totally free and made by external developers. These mean you can tailor the software to what you want it to do, and it also says that there are always new features added by the community, which contributes ‘extensions’ to Sketchup. These extensions or ‘plugins’ can help with everything from creating complex textures to simplifying measurements. SketchUp is used more for architecture and design, as opposed to the games and animation industry. Construction industries are the primary target market, and this has made the software incredibly popular among interior designers, architects, and even town planners or civil engineers. This program is also growing in popularity because it can be added to via extensions and make 3D printing very simple and straightforward for beginners. SketchUp offers lots of different purchase options based on what you want to get out of the software as well as whether you are using it personally or in your career. Another massive benefit of SketchUp is the fact that there is so much information out there. As it is pretty mainstream in the industries mentioned, there are lots of tutorials on YouTube and bloggers dedicated to showing you the ropes, meaning picking up the basics is a lot less taxing than it can be for some of the other software. As well as this, an active community of developers creating add-on software means that there is no limit to what you can do with Sketchup. The software can be as simple or complex as you want it to be. The cost (under $700) is also less than a yearly membership for some of its competitors, and there is also a free version to get people started and used to the interface. AutoCAD, made by Autodesk, is software which is decades old and has evolved into an industry standard piece of design and modeling software with capabilities for both 2D and 3D modeling. AutoCAD isn’t the most useful for graphic designers, for instance, but is aimed mainly at engineers and construction companies, architects, and many more industries including product design. If you look at job descriptions in these industries, then experience using AutoCAD takes you a long way! Because of the popularity of this software, the company release regular updates and in recent years additions such as a free app to allow your clients to view your work have been added to give even more flexibility. There is a free trial version if you want to test the waters before plunging in, but you should remember that this is pricey software, aimed at professionals and used in big companies—not usually by hobbyists. Autocad can be challenging to learn. Many of its features are advanced, and though you can start with the very basics, to get value for money out of this software, you must work on your skills over time. 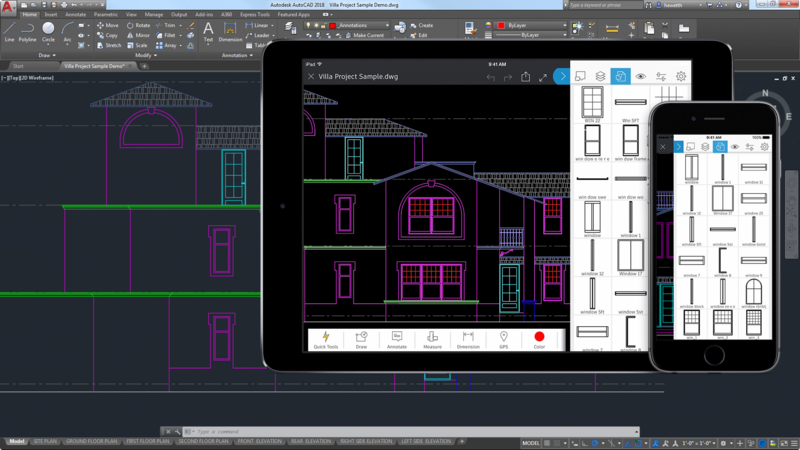 The considerable level of functionality is perhaps what makes Autocad so accessible, but to master, it fully can take many years. If you are a student, you may be encouraged to use this due to its popularity in the industry, and this can be a great career move too as many jobs need you to be able to use this software. You should note that in addition to AutoCAD, Autodesk produces a variety of other great tailored tools for advanced users, ranging from Autodesk fusion to Autodesk Inventor and Revit. Professional 3d designers and 3d modelers should explore the full suite to determine if there is a specific tool for 3d, online 3d, virtual reality or other design tools that Autodesk supplies that more precisely fits your particular needs. Blender is well worth thinking about and makes our list due to the fact it is open source! It has a lot of different features, many of them aimed at artists and game developers. Blender is a superb starting point for people who want to create characters and 3D renderings of art but does have the capabilities to help interior designers and construction professionals too. Because it is free, it is a great place to learn the basics and get to grips with using 3D modeling software. One negative is the fact that Blender has a lot of non-standard controls and layouts compared to other software of this type. It is especially true if you plan on using it for landscape or interior design or landscaping. While it is compelling 3D modeling software, if you plan to move on and use other software such as Autocad in the future then you should expect some challenges. Game developers and designers can even create full games in Blender, so it is powerful software in spite of being available for free. The controls are not exceptionally simple, so be prepared to invest some time looking at tutorials and reading the manual if you are going to undertake detailed projects. It is more likely to be used in the gaming or animation industries, but useful for any 3D modeling considering the cost (a total of zero). There is also an active community to help out if you run into problems. 3DS Max is another piece of software made by Autodesk, probably the industry leaders in 3D modeling software and the makers of Autocad among other programs. 3DS Max is an exciting piece of software in that historically it was split into two different versions, 3DS Max and also 3DS Max Design. 3DS Max Design was aimed more at engineers, architectural use, and designers, whereas 3DS Max itself was aimed more at visual artists such as game development studios. This software can be used to make 3D models which are incredibly detailed but also which look amazing. The light, visual effects and particle simulations within are one of the ways 3DS max creates models which look incredibly real. The support of plugins is another huge bonus. Plugins mean that you can install add-ons to your software to enable more precise management of the functions that you want it to do, and there are many developers out there creating plugins for a variety of industries. Plugins mean you can tailor your version of 3DS to your own specific needs. The two versions are now just one. 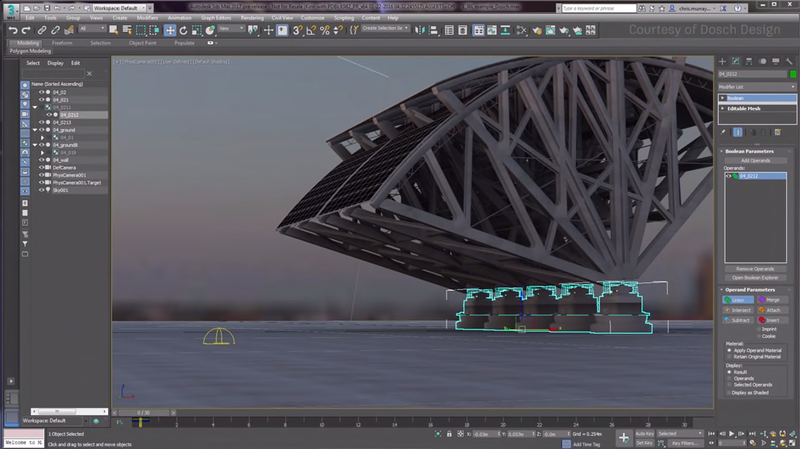 3DS Max is designed to cater for all 3D model creators from architects to designers to game makers all in the same program, and the customizability is one of the many methods it can do so. 3D modeling software isn’t all created with the same focus, and because of the full range of uses for 3D modeling across different disciplines, it is natural that some are more specialized in specific areas, such as Blender for games and Autocad for construction. Most of this software is neither cheap nor easy to learn, and dedicated effort is necessary for mastering modeling! A little consideration for what you plan to use the software for, as well as the hardware and operating system you are running, allows you to make the best decision on which software to start applying for your 3D modeling projects. Your best 3D Modeling software will depend on what you want to use it for, how much you are willing to spend and how much time you are eager to dedicate to the effort of learning 3D modeling. We have introduced to you to four of the best 3D modeling software choices available. One of these is the right starting point for you!